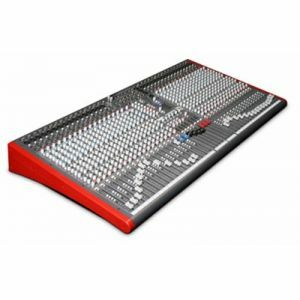 Small footprint dual function live sound console! 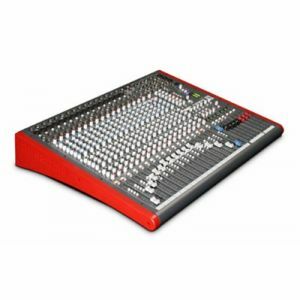 Allen and Heath GL2400-40 Mixer - 40 Channel - Small footprint dual function live sound console! As pioneers of dual functionality, ALLEN&HEATH has ensured that every detail of the concept has been carefully implemented with no controls redundant in either mode. When mixing Front-of-House, the monitors can be set pre-insert as well as pre-EQ to prevent your house mix EQ and compression affecting the stage mix. Per channel aux switching means you can mix pre-fade with post-fade sends such as theatre radio mics and sound effects. As a monitor console, the aux masters get faders, inserts, mutes, meters and balanced XLR drive. You even get a fader controlled engineer' wedge feed. The Groups and LR mixes are still available to create yet more sends. In monitor mode the GL2400 can provide up to 10 mixes, for example 6 wedge and 2 stereo IEM. The new mic preamp has an extended 74dB gain range with massive headroom able to deal with the widest range of signals right up to +34dBu. From the new low-noise mix amp through responsive 4 band EQ to the differential balanced +26dBu outputs, every stage has been carefully designed to ensure optimum gain structure and the best sonic performance possible. There are three master faders on the GL2400. The configurable M fader lets you create an LR sum mono fill, an engineers monitor wedge feed, or a dedicated centre or sub-bass speaker mix from Aux 6 which means you can dial in exactly what you need from each channel. L, R and M each provide a dedicated meter, mute, AFL and balanced XLR output. 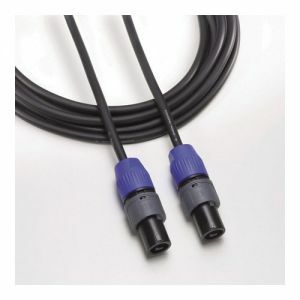 The matrix is a big feature for corporate AV work, specialised recording and broadcast feeds, and personal monitoring. Smart auto-switching of the external inputs lets you add a common mono, stereo or independent sources to the matrix. Cross patch from the stereo channel mic breakpoints to add room ambience to your recording and IEM feeds. 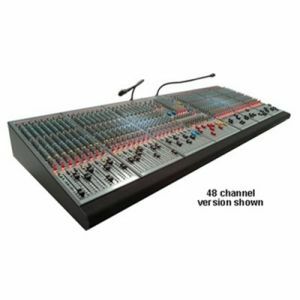 Two multi-function channels provide a mic and 2 stereo line inputs each. Use the channels as mic inputs while the 4 stereos are independently routed to LR, or combine stereo sources such as backing tracks and reverbs while the mics are patched elsewhere, or use conventional stereo channels while the second Allen and Heath GL2400-40 Mixer - 40 Channel inputs provide additional returns and the mics patch into the matrix for ambience. Mixer lights sold separately.